Good evening! Great news if you are a student. 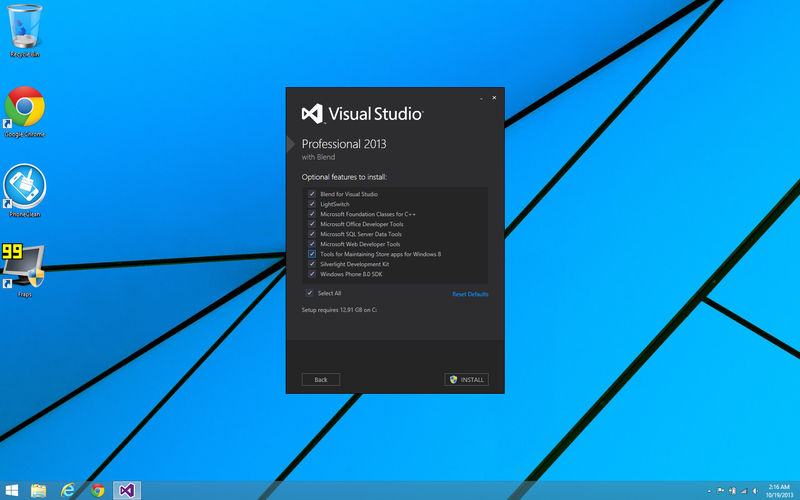 Starting today, you can download and install the full version of Visual Studio 2013 Professional. You can do this through Dreamspark. 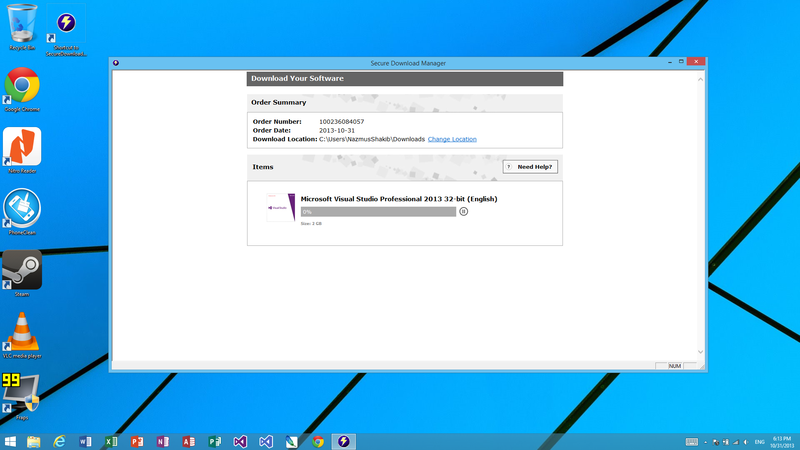 We blogged earlier that Microsoft Dreamspark users would be able to download the software on October 31, 2013. Well, today is the day. Here’s how to get your copy if you are a Student. Visit http://dreamspark.com to sign in with your account. If you don’t have a Dreamspark account, and you are a student, you can sign up for a free account. You will need to validate your student status, however. 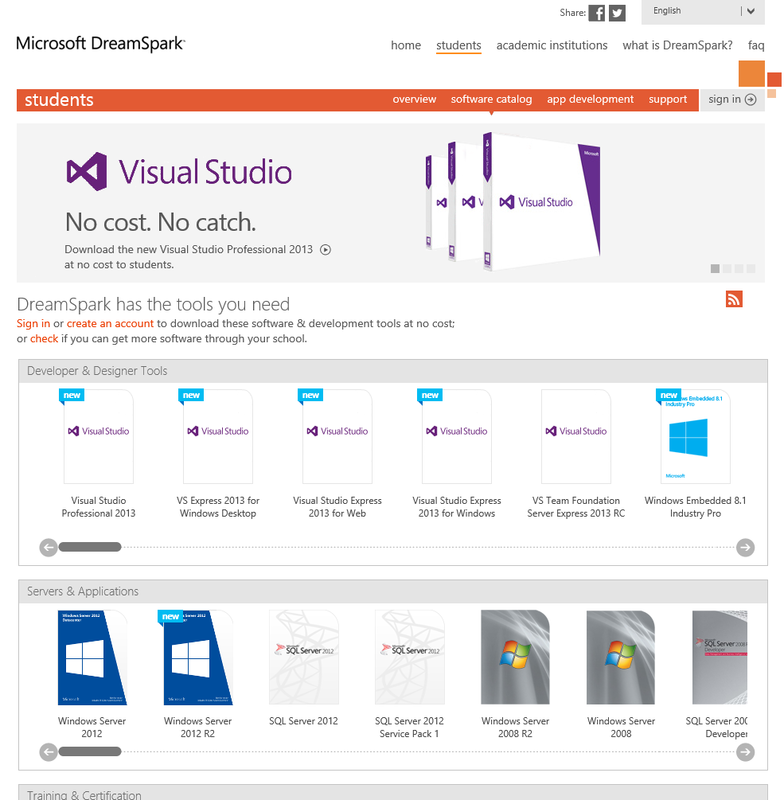 From the software catalog, choose Visual Studio 2013 Professional by clicking on it. This will take you to the download page. Click the Blue “Get Key” button to reveal a genuine product key. Write it down or copy it to a file on your PC. You will need this key later to activate Visual Studio 2013. 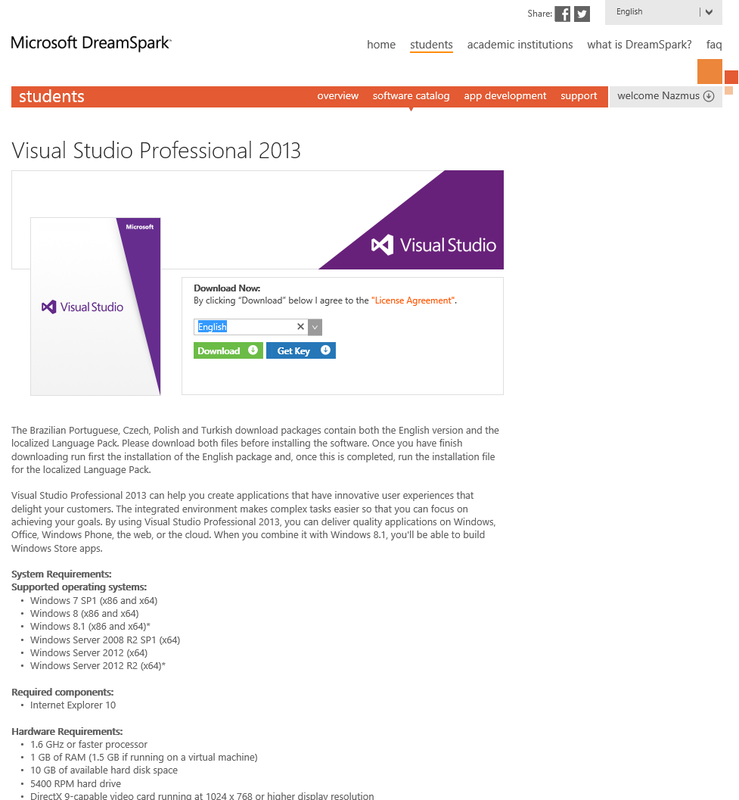 Click the green button to download Visual Studio 2013. This will take you to the download page. Follow the steps given exactly. Once you do, you will see the download progress for your software. Once you download the software, mount the ISO image (by double-clicking it on Windows 8.x) and run setup.exe to start the Installation. Then follow the instructions on the screen to finish installing. 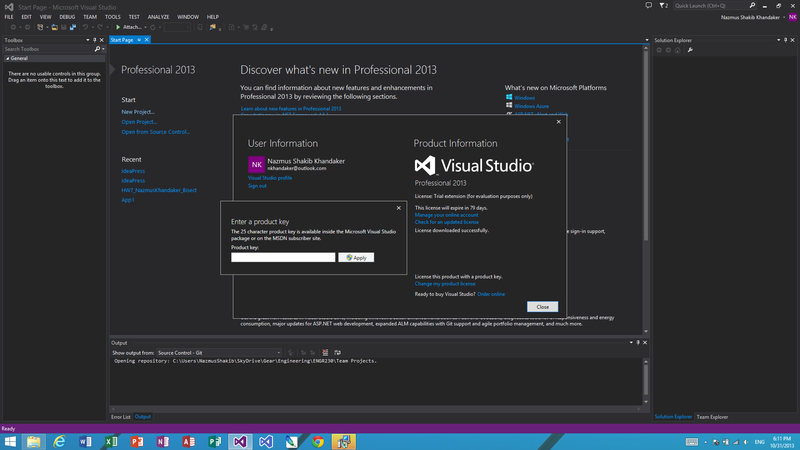 Run Visual Studio 2013. Sign in to your user. Then, when the Integrated Development Envrionment (IDE) loads, click the “Help” menu from the menu bar. Click “Register your Product” menu. When the license window opens, click “Change License” and enter your Product key you wrote down earlier to activate Visual Studio. You are done! This is not a trial; you can use the product as long as you like! Enjoy!